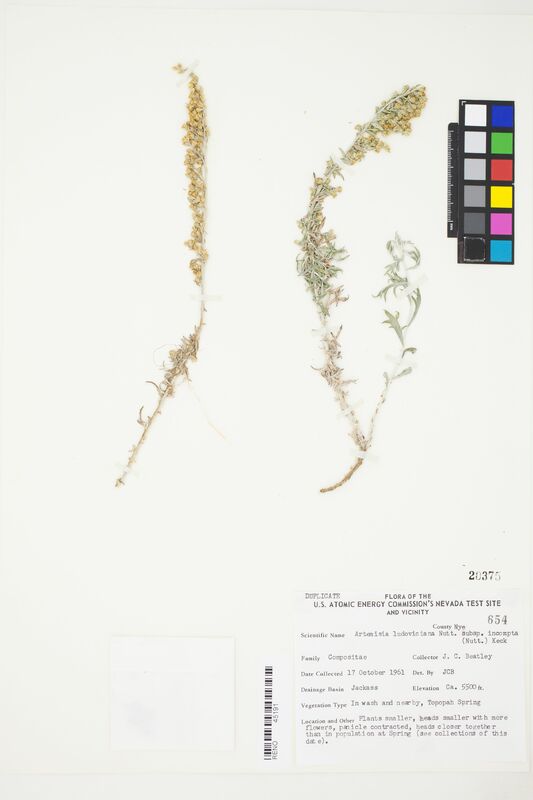 Locality: USA, Nevada, Nye, [Shoshone Mountain,] Topopah Spring, in wash and nearby, Jackass drainage basin. Verbatim Elevation: ca 5500 ft.
Habitat: In wash and nearby. Description: Plants smaller; panicle contracted, heads smaller with more flowers, and closer together than in population at Spring. Notes: See collections of this date.